You just spent three weeks moving towards your dreams! Congratulations! But... we're not finished with the Mission Of Trust just yet. It's time to tell the world about what you did and make it all count for something. Share your end result with the world as strategically as you made it to start showing everyone exactly what you can do. Making a promotional plan will help you pace out every nook and cranny of your hard work and show the success you currently stand in front of. How many ways can you think of this week to show the world what you've done in the all the various ways people consume information. 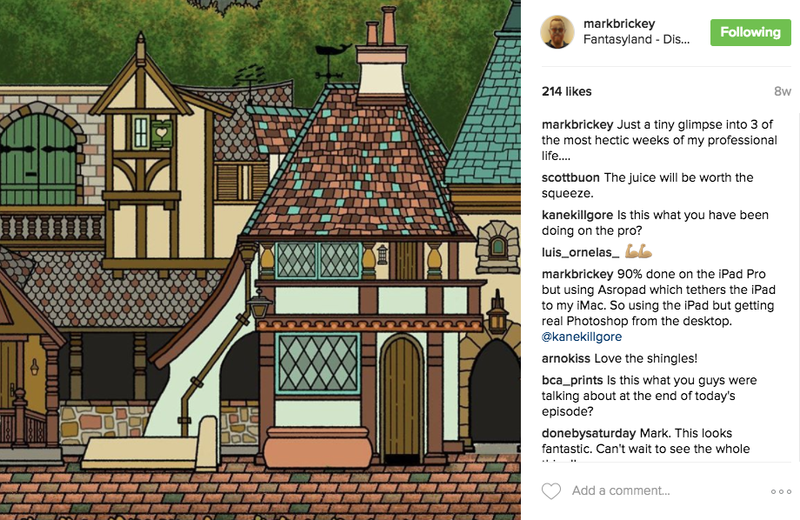 Stopping at one Instagram post would be throwing away weeks of work for a brief (and al gore rhythm-ized) window if time that might not reach the audience size you could with a little bit of a plan and some ingenuity. "If the world doesn't know what you are and what you're capable of then there's no way for the world to support you." Overcoming excuses to start and the importance of finishing. Hold on to your feeling of success for the long road ahead of you! Share that success with the world to show exactly what you can do. How many different ways can you split apart your projects success? Process videos as an example of promotion. Turn your victory into a potential avenue of attracting clients. Showing growth is showing success. Letting people into your work creates a stronger following. 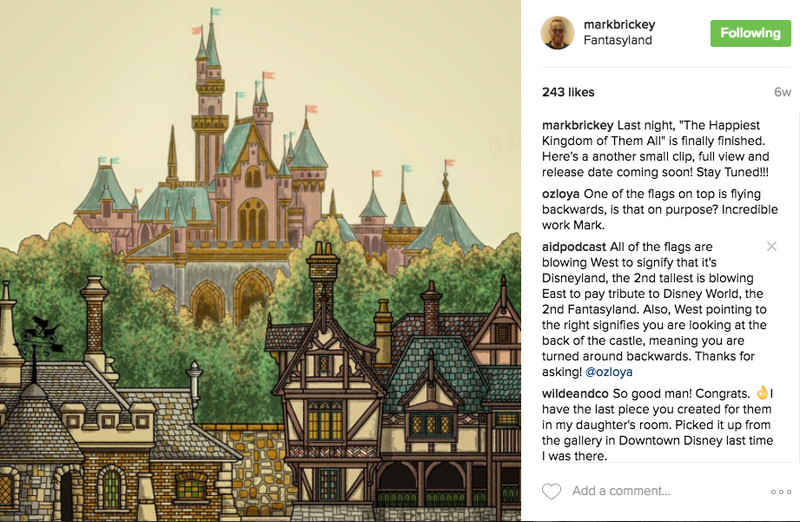 The gallery below is how @markbrickey shared his success when Disneyland asked him to make a Fantasyland print to provide some real life examples of practicing what is being preached. 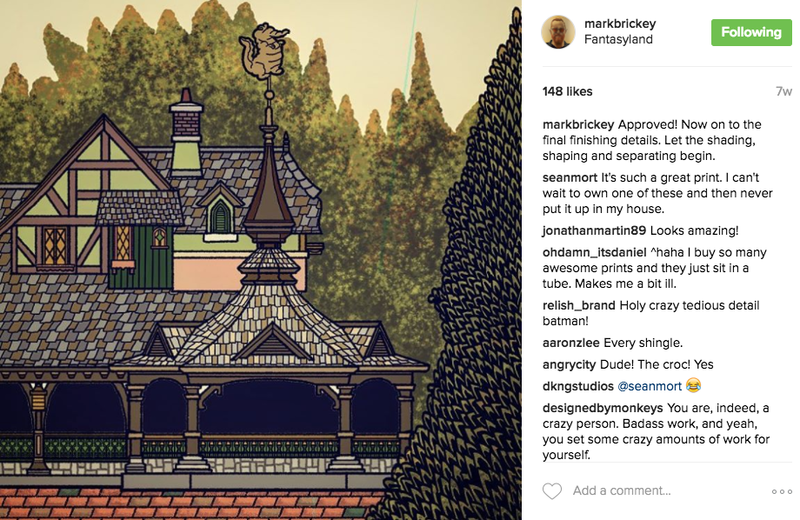 Note the timestamps on each piece to see how he broke apart his one project into individual facets of the piece to gain attention and build his following and their connection to his process.